Just2easy is a set of resources that I investigated, once again, at the BETT show in January. 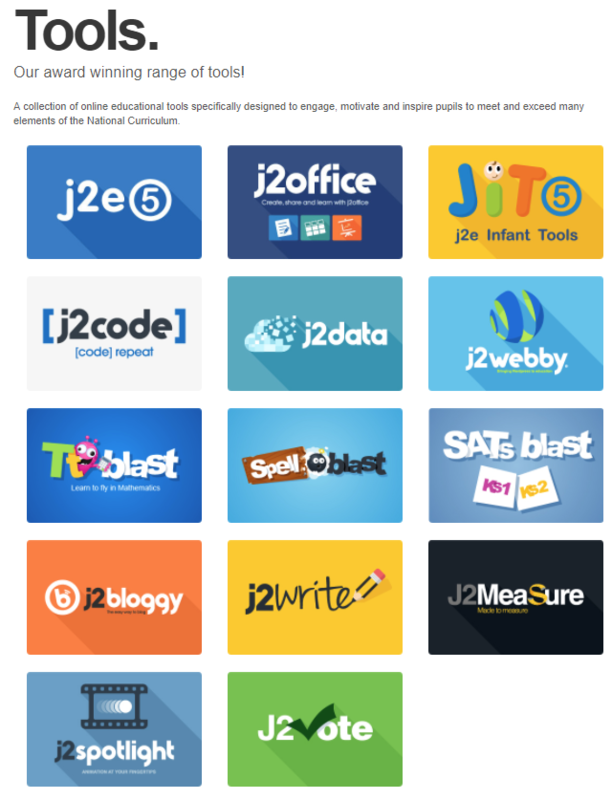 Just2easy offers a ToolSuite containing a whole range of resources that offer a primary school everything it needs for the computing curriculum, organization automation using services from this website, and other resources such as: coding, data handling and creative tools for the early years too. The majority of the tools are fairly cross-curricular and give pupils the opportunity to create some truly amazing content. They are willing to offer you a 30 day FREE trial and take you through the software if you’d like. For this all they need is your school name and postcode and the number of pupils that you have. The tools offered are: J2Office with Write, a spreadsheet and presentation tool all compatible with Microsoft Office and can be saved in the cloud; Paint, which will be instantly clear to teachers; Animate ( can be used for creating simple animations); Branch, a branching database; Chart for line, pie chart and bar charts in maths and Pictogram for younger learners. Database, also included, is an online multi-user database program. J2Code and Turtle are programs to help children learn coding. There is also a new comprehensive set of measuring tools called J2Measure and a new voting program. It is a whole suite of cross curricular educational programs designed especially for primary school. Do visit the website to find out more or request a trial.